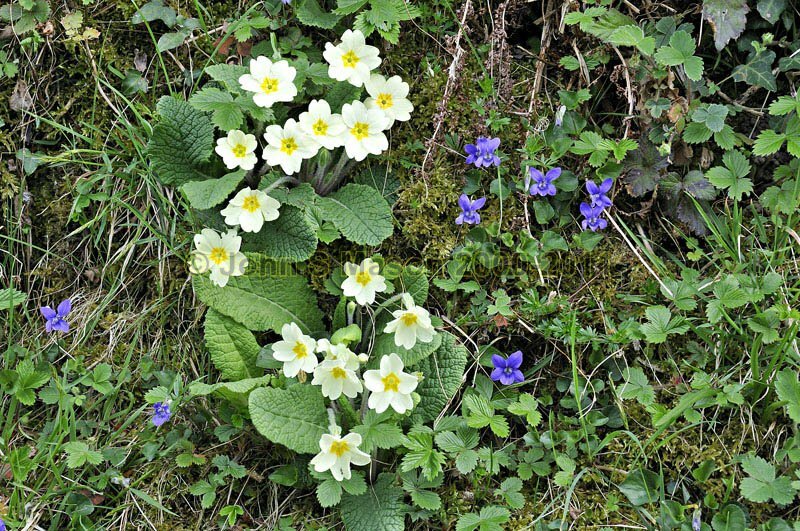 Violets accompany the Primroses, with Wild Strawberry - here not yet in flower - not far behind. Product number 040970. Email me to enquire about this image: click HERE.